Asthma is a common reactive airway disease which happens because of allergy to different agents such as dust, pollen, flowers or food. It presents as a cough, shortness of breath, wheezing and tightness. Both men and women are affected equally but most common age groups are children and young adults.In Canada, asthma is a very common respiratory illness that is seen all the year round. How can we treat asthma? 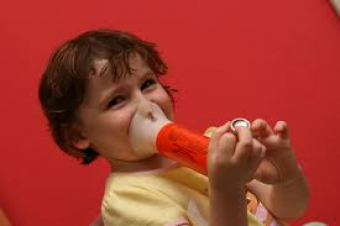 Medical treatment of asthma range from bronchodilator puffs to inhaled steroids and oral cortisone. In severe cases, intravenous steroids, an oxygen is needed. If neglected, asthma can be fatal, so it needs an immediate care and attention. Naturopathic medicine can help in many ways such as identifying the root cause of asthma and trying to avoid any exposure to it, giving herbal and oral supplements to avoid the development of asthma symptoms. Also giving inhalation Glutathione can help mitigate symptoms or prevent further attacks of asthma.